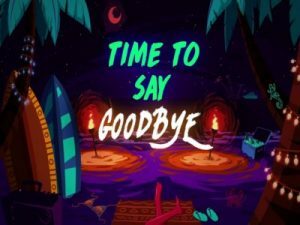 “Goodbye” is a single by American artist Jason Derulo and French producer David Guetta, which features ‘Queen’ rapper Nicki Minaj whom Derulo worked with on “Swalla” and Guetta worked with on his single “Light My Body Up.” and Jamaican-French artist Willy William. Backed by dancehall-inspired production, the song is about not being able to say “goodbye” at the end of the night as two lover’s need each others company. Furthermore, the song interpolates part of the refrain from Andrea Bocelli and Sarah Brightman’s Time to Say Goodbye (Con te Partiro)–an Italian opera love song about saying goodbye to their world as they know it, to be together.